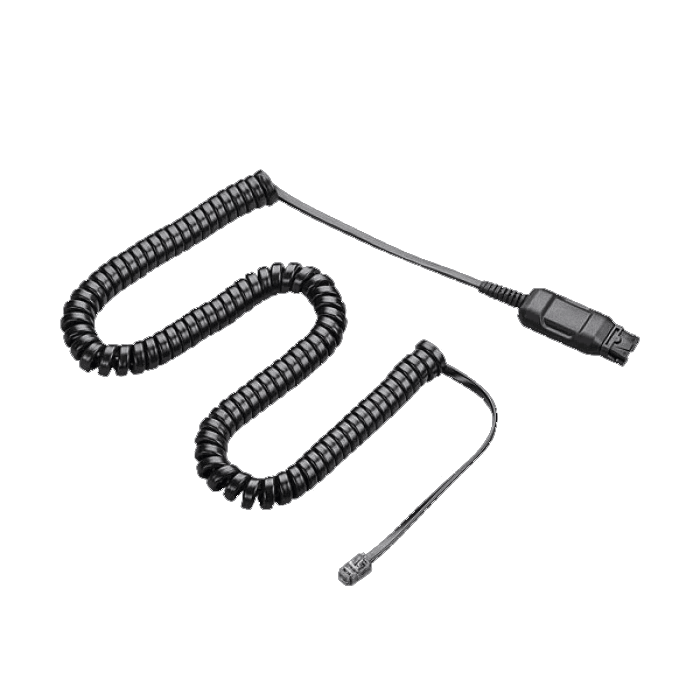 Plantronics A10 Direct Cable - 66268-03 - Headsets Direct, Inc.
A10 cable (# 66268-03) is used as a Direct Connect Cable which connects an H-series headset into a compatible phone. NOTE: 66268-02 & 66268-03 are the exact same A10 cable. -02 comes boxed and -03 comes bagged. Lengthy and easy to setup. Enjoying it. Didn’t work, need to issue a replacement, just haven’t had time to do so yet. Wanted to double check it first. From HDI – This sounds like a compatibility issue. Please call us for assistance. 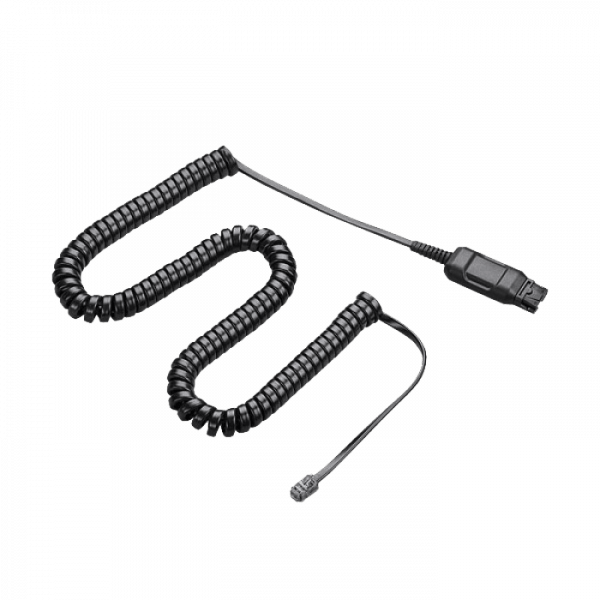 The ease of using the cables with a headset; haven’t run into any issues. Very user friendly. No complaints. It serves its purpose. Product came quick. Does the job. Customer service rep figured out exactly which adapter I needed with very little explaining. I received the adapter cable promptly and it works perfectly. Had purchased headphone set from a distributor who sent the wrong adapter cable. They gave me the help desk number, which I called. Service rep quickly assessed the problem and sent me the proper cable adapter. Headphones now work perfectly. I was called by the store before the product was shipped. They let me know that what I had originally ordered was not compatible with my headset, and they recommended a replacement, which was the same price. A million headaches avoided by outstanding customer service. And, it works perfectly. I ordered the wrong cord and immediately received a call to inform me. They quickly updated my order, and we got it with in days. Great customer service and speedy service! Works great with a HW291N EncorePro Headset on our NEC 34B phones and DSX-160 phone system. I think it sounds better than our older wireless headsets, and there is no need to charge or replace batteries. I got great response to questions and great delivery time. And the price was better than my normal channel of ordering. Will definitely order direct from them again. Works well, thanks to rep who helped. Made a note in special comments to make sure items ordering works w/ our Cisco phone systems. Sure enough, I ordered the wrong adapter but rep was nice enough to contact me before shipping what i ordered. Thank you Headsets Direct, I will definitely order from your company again! Great product, performed exactly as advertised. Fast delivery. I have to say the person that helped me get the right items was great. Knew exactly what I needed and did an exchange right away.